Francis (Frank) Morgan and his brother Bert grew up with their parents, as market gardeners, on the edge of the New England forest in England. Times were hard, jobs were in very short supply and as the brothers got older, there wasn’t the opportunity for apprenticeships and full time work. Frank arrived as an assisted immigrant to Australia in 1912. Bert came out twelve months later and joined up with his brother in Eumundi. They were possibly in timber felling camps together. Then came the war. Frank enlisted on August the 3rd 1915 at the age of 26 and embarked on board the HMAT A69 Warilda on 25 October 1915. 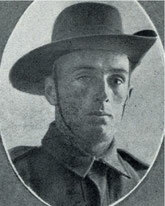 He was sent to Egypt and he was in hospital for 3 weeks which probably saved his life at the time because he would have been sent to Gallipoli. He was then sent to the Western Front via Marseilles in June 1916 and on 19 October 1917 he died of wounds and is remembered at Ypres Belgium. 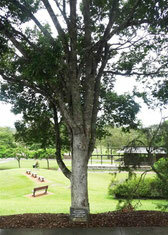 His brother Bert was later taken prisoner of war and when repatriated returned to live in Eumundi. Discover Eumundi houses photographs, documents and artifacts from Eumundi and provides information to visitors to Eumundi. Wan'din'in arts space at Discover Eumundi is used for heritage and arts related exhibitions, meetings and workshops.